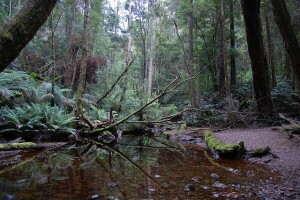 Its nature in general and its animals in particular represent Tasmania’s major asset. It would mean a great offense to the great Tasmanian outdoors if you left the island without trying your best at spotting a Tasmanian Devil or at least a wallaby. But there are plenty of other interesting animals you might run into, like the wombat, echidna, possum platypus or Tasmanian tiger. Fishing is definitely the kind of activity one should try in Tasmania. The reason why Tasmania is such a perfect place for the practice of fishing is that no matter what your preferred fishing style or skill level, you’ll still be able to make the best of your fishing trip. With so many rivers, lakes and the surrounding ocean within a relatively short distance, you’ll soon become a fan, if not a champion, at fishing. Hiking and camping are among the most popular, but also eco-friendly activities one might involve in while visiting Tasmania. The majority of the national parks will have well marked trails and offer guided walks at request. Overnight camping and camping trips will get you very close to the wonderful nature, however keep in mind that most parks will only allow campers to stay in specially designed areas. 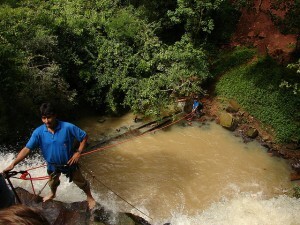 And since we’re at the adventure chapter, I should just mention that rappelling is a brilliant way to combine unrivalled landscape viewing with a few drops of adrenaline. 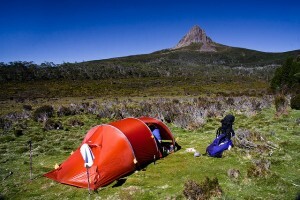 With its numerous cliffs and gorges Tasmania offers numerous opportunities for rappelling, of which Mount Wellington is probably the most popular.